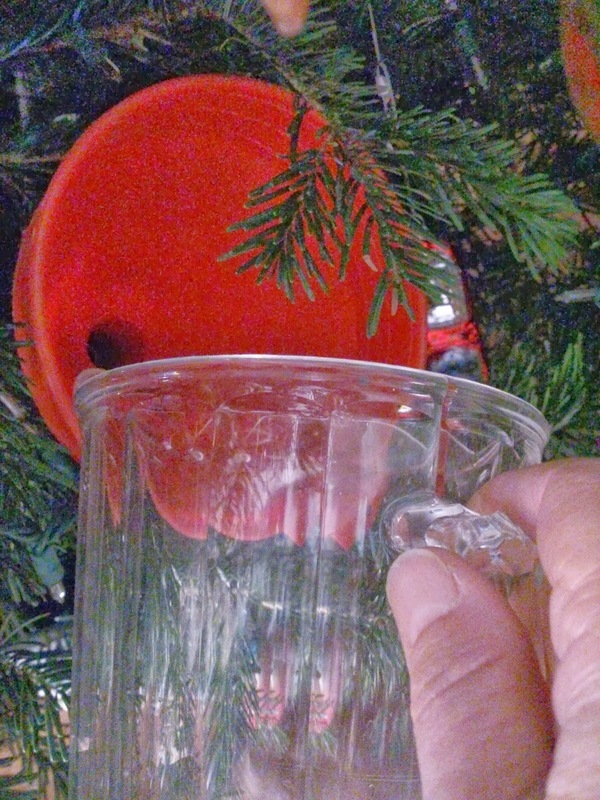 We all know that constant monitoring of the water in your Christmas tree stand is vital so I have the best way to refill your Christmas tree stand. My husband came up with a nifty way to do this easily. Take one of the automobile funnels with the long spout and place it down in the water basin while tucking the funnel side up in the tree. You can see we appropriately chose a Christmas red funnel for the easiest way to fill Christmas tree water. You cannot even notice it hiding in the back. When I need to add water I just take a pitcher and pour into the funnel. Now my husband informed me he saw a fancy version of this for sale at Sam's but this cost me zero cause we had one lying around. *update.. 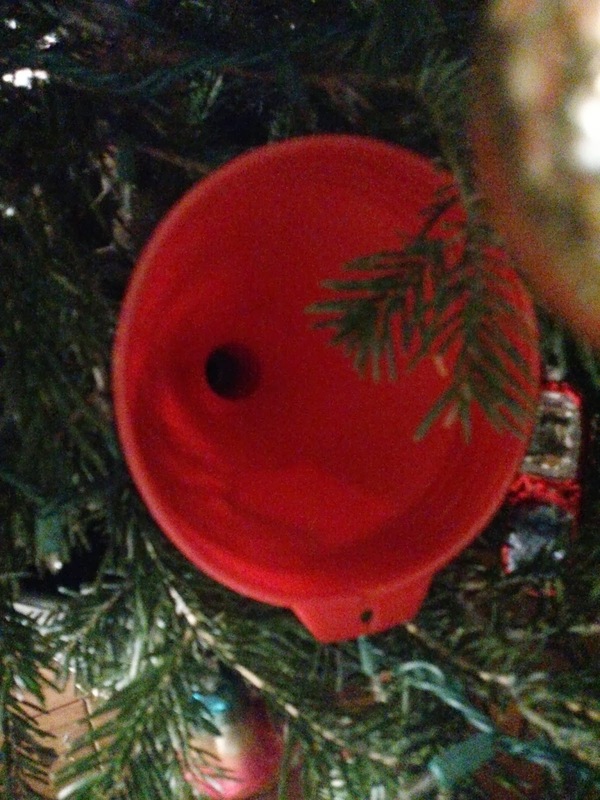 I found this funnel with the flexible hose on Amazon and I love it cause I can bend the hose down through the Christmas tree branches into the water basin. Great idea, Elaine- and another hint to keep your tree lasting a long time? Use generic cheap 7UP/Sprite/Slice - whatever lemon/lime soda pop is on hand - or use sugar water, which is messier. Before I got married, in the years of having a life tree (hubs now is horrifically allergic to pine,) I did that and my tree never lost needles, seriously. Try and let me know what you think! That is one great idea. We had a fresh tree last Christmas, and the sight of my poor husband upending himself many times a day just to keep it filled, was funny to me, but not to him. Clever idea and free too.